I haven't been in the beauty subscription box game for quite a few months now. 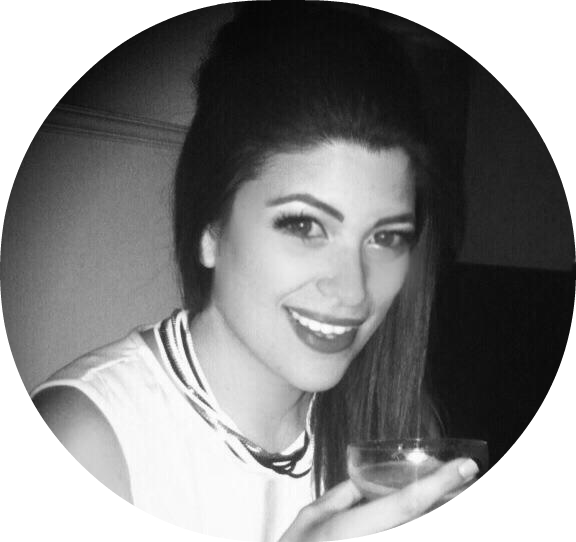 After signing up with Birchbox, and then Glossybox for a couple of years, I'd begun to feel a bit disillusioned. It seemed like I kept seeing the same few products come round, and nothing was really wowing me. The love had gone out of it. My drawers were filling up with unused samples. I didn't really discover anything life changing that became a must-have. So I cancelled all my subs a while back. However, I was tempted back for this Birchbox birthday edition after receiving a code to get a half price box. Would the contents change my opinion on sub boxes? It was certainly cheerful to get the beautiful, balloon emblazoned box through the post. As Birchbox started life in the US of A, all the products in this month's box are from American brands. I liked this idea a lot - I love trying things from overseas, especially as they can be a pain to get hold of here with customs charges. So, with five samples and a beauty tool in the box, what was waiting to be discovered? I'd had a sneaky peek online as I ordered my box late, so I sort of knew what to expect inside, and I wasn't disappointed. 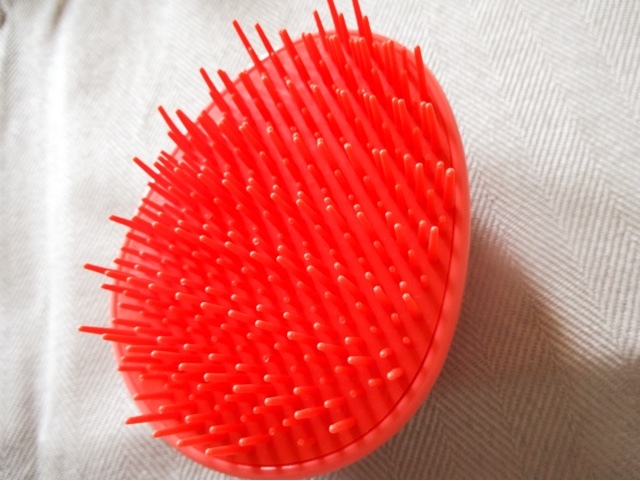 The first thing out of the box was this hairbrush, which is pretty much a mini Tangle Teezer. This is all good with me because I love these types of brushes. I do own a handbag sized Tangle Teezer, but its still quite large, so I don't actually carry it around with me. This brush is of a size that its actually useful to pop in your handbag on the go. I saw a couple of different colours were produced and I was really glad to get this cheerful fluoro coral coloured one. Should be easy to spot when I'm rummaging around my handbag contents! These type of brushes are really gentle on the hair, great at working out knots and smoothing. Ironically, now I have shorter hair in a more structured style it seems to want brushing a lot more, so this is ideal really. This brush also works well on hair extensions as it doesn't pull too much, so if I do happen to be wearing my clip-ins, it will still work well. This is a brand I have heard of and had a passing interest in trying, so I was quite intriguied to see something from them in the box. This sits halfway between a conditioner and a treatment product, and although I don't really have a problem with tangles, I'm hoping it just has lots of softening, conditioning benefits. It smells really incredible, very deluxe and refined. The formula contains a lot of nice goodies, such as coconut oil and wheat amino acids to smooth and rebuild the hair. The white neroli and grapefruit are intended to smooth the scalp. This seems beautifully luxurious. I am in the habit of using a hair treatment once a week while relaxing in the bath on a Sunday night, so I'm looking forward to testing this out there, or I might save it for a holiday, as hair always benefits from something like this when its exposed to a lot of sun sea and salt water. This is not a brand I realised existed, even though I have used the website to check out product reviews in the past. I do like chemical exfoliants, and I much prefer them to ones with physical particles in - they just seem to perform better, and I dislike the scratchy feel of ones with beads. 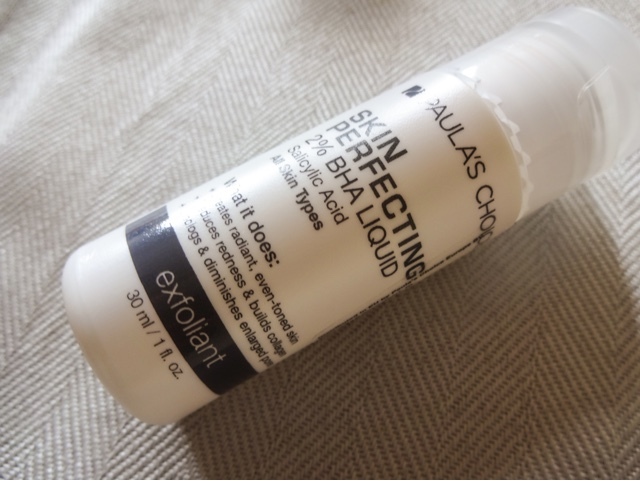 This promises to do away with blemishes and oily problem skin via powerhouse ingredient BHA. You swab it onto the skin using a cotton pad once a day, working up to twice if needed, but you also need to ensure that you are using a sunscreen during the day, as chemical exfoliants make skin more susceptible to sun damage. I'm keen to see what this can do for me in terms of revealing healthier, more glowing skin. I love to discover new skin treatments, and America is so far ahead of Blighty on this front, so this was a great thing to find in the box. 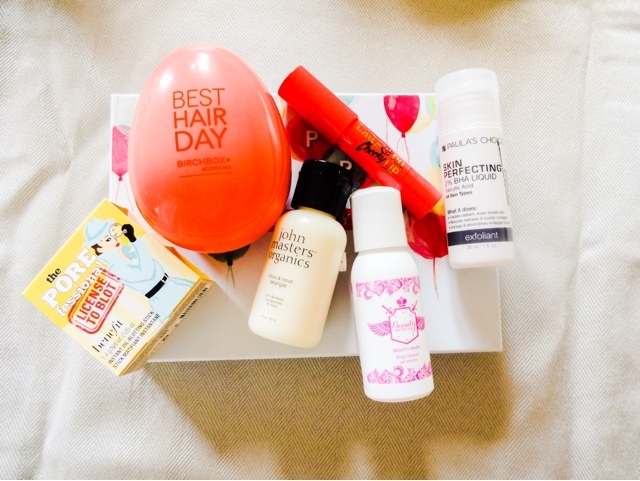 Beauty Protector, I didn't realise, is a brand exclusive to Birchbox. I've had some very cute looking hair oil from them before, but again its one of those things that sat in a drawer ready to take on holiday, rather than something I had to try straight away. This will be the same, because its ideal to pop in a travel bag. I really like the nice packaging and this smells very nice, but I'm not sure I'd go out of my way to buy this. It doesn't seem anything special, and there are no extra skin benefits other than it smelling nice and lathering up well ( is it just me that would count this as pretty much a basic requirement rather than a selling point?). One for the samples drawer! 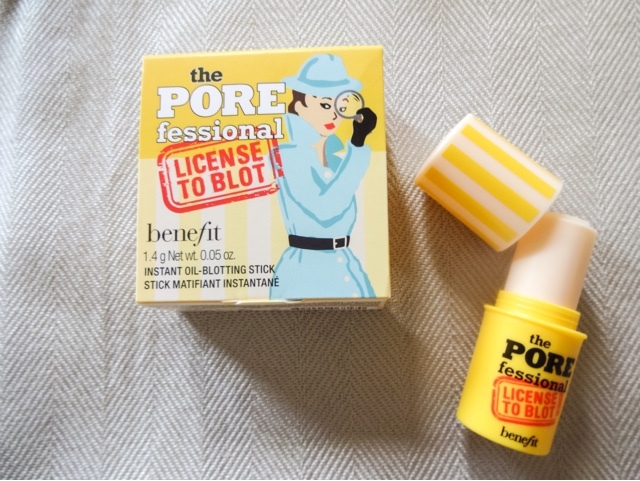 As a massive fan of The Porefessional original primer (see my review here), this product is definitely something I'd want to try. My skin isn't especially oily, but it seems as though this would be an extremely handy little shine-buster to take with you on the go. An alternative to powder, this is a stick product containing 'oil mattifying spheres' that promises to blot and control shine for 6 hours. I tried a little just on my nose, which has a tendency to get shiny and ruin the rest of my make-up, and I wasn't blown away. I would say 6 hours is a very optimistic estimate for how long this lasts! I can't see this replacing pressed powder for me, but the cute little tube is easy to slip into a make-up bag, so I'm going to carry this around and give it a fair trial. Apart from the hairbrush and the exfoliator, this was the product that most excited me about the box. 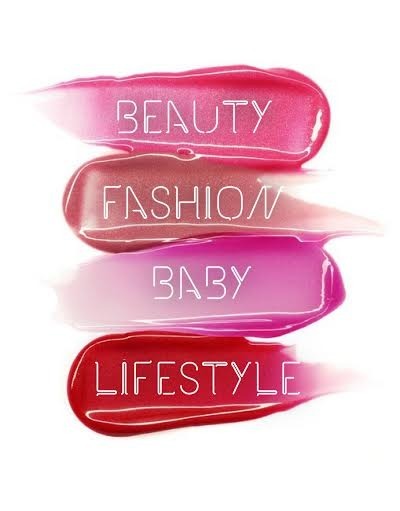 I love to try new lip products, and this is a brand I've seen included in boxes before, wanted to try, but never received. One of the main reason I cancelled my Birchbox sub before was the lack of make-up products in the box -it always seemed to be too much skin and shower stuff- so it was great to get a colour cosmetic in this box. Also being a big fan of products in crayon format (so handy for lazy girls like me), this immediately appealed. 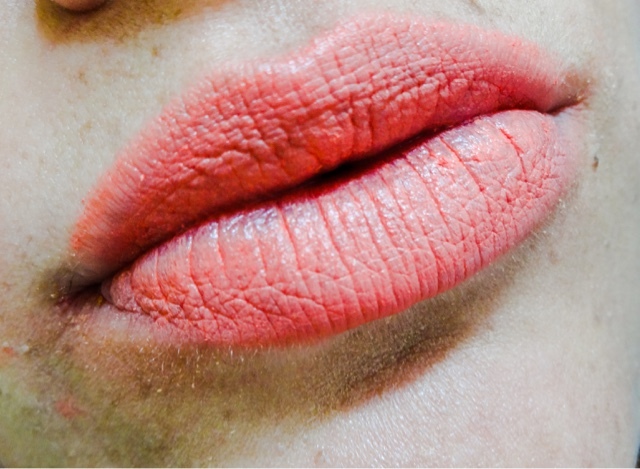 I adore the bright coral colour, although its definitely more of a summer shade, so its a shame that's all but over now. I expected this to be much sheerer on, so I was very impressed with the level of pigmentation - this is much more of a lipstick than a balm. Once on, again I sort of expected this to slide off within half an hour, but I was pleasantly surprised by the lasting power. 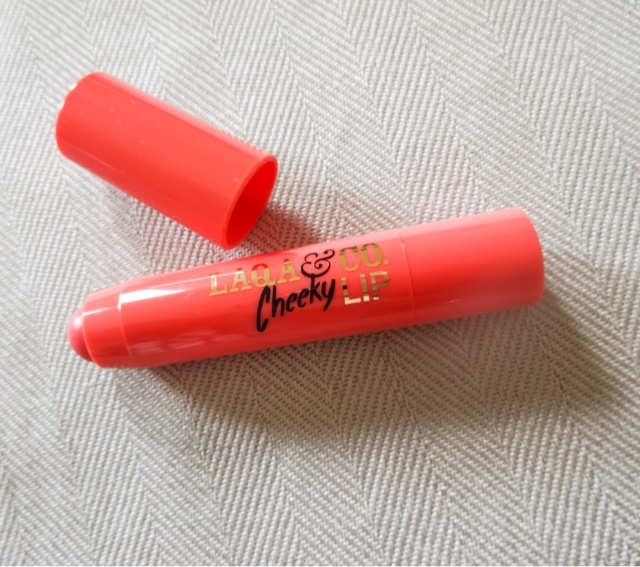 This is a really great product - I prefer it to the Clinique Chubby Sticks which I would assume it was like from the appearance, but they are much more sheer and glossy. This would also work really well on cheeks to add a flush of colour, so its an ideal multi-tasker to take with you. A definite win. This month's box is great! 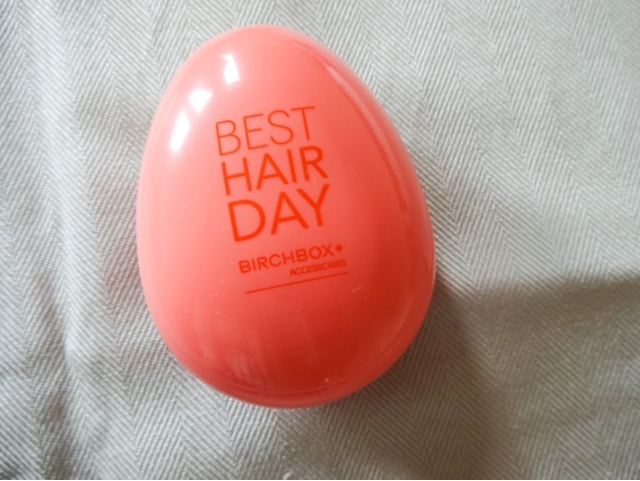 I loved the mix of products, including skincare, colour cosmetics and the neat little brush. If every month was as good as this, I wouldn't have cancelled my subscription. I still think these boxes need to shake it up a little though. Generally we see the same few brands being included and it gets old very quickly - there need to be more 'wow' moments, like when they first started up. But this is a nice celebration box and was certainly worth it at half price, so if you can grab a code, definitely treat yourself to this. 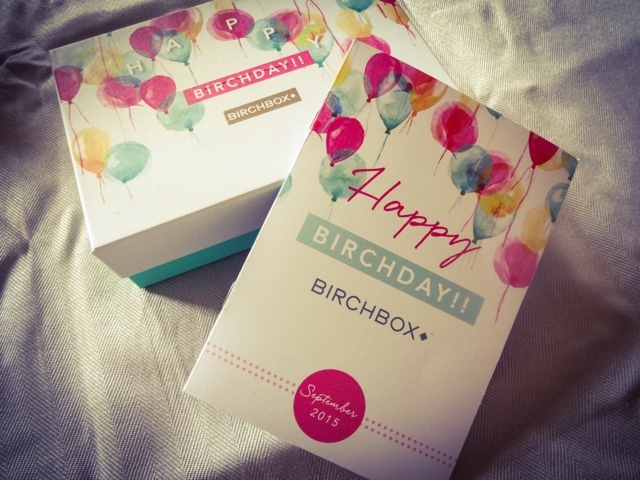 The September Birchday Box is still available to order here.